Instinct Dog Training Inc. welcomes board certified veterinary behaviorists Dr. Emily Levine, DACVB and Dr. Chris Pachel, DACVB to leadership team as Vice Presidents of Veterinary Behavior. 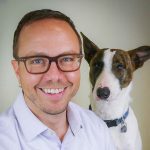 -The new VPs will help with efforts to bring veterinary behavior professionals in-house at Instinct Dog Behavior & Training® franchise locations, either as franchise partners or as operators of on-site, independent vet behavior clinics. -Bringing veterinary behaviorists and dog trainers under the same roof provides dog owners with easy access to a full range of high quality, science-based training and behavior support services for everything from puppy socialization to obedience training to help for complex behavior issues involving fear, aggression, and anxiety. The move aligns with Instinct’s mission of providing help and hope to every dog and owner through access to kind, practical dog behavior and training resources. -As VPs of Veterinary Behavior, Dr. Levine and Dr. Pachel will also develop educational resources for Instinct franchisees and clients; provide onboarding support for new veterinary behavior partners; and help review and enforce Instinct’s set of internal standards and policies related to the care and training of dogs across all Instinct franchise locations. New York, NY, RELEASE – Instinct Dog Training Inc., franchisor for Instinct Dog Behavior & Training® franchises, is thrilled to welcome board certified veterinary behaviorists Dr. Emily Levine, DACVB and Dr. Chris Pachel, DACVB to the company’s leadership team as Vice Presidents of Veterinary Behavior (full bios below). The exciting new appointments are part of an ongoing effort by Instinct to raise industry standards and increase collaboration between the dog training and veterinary behavior communities in an effort to make quality, science-based dog behavior resources – including veterinary behavior services – more accessible to dogs and owners across the country. “It’s exciting! 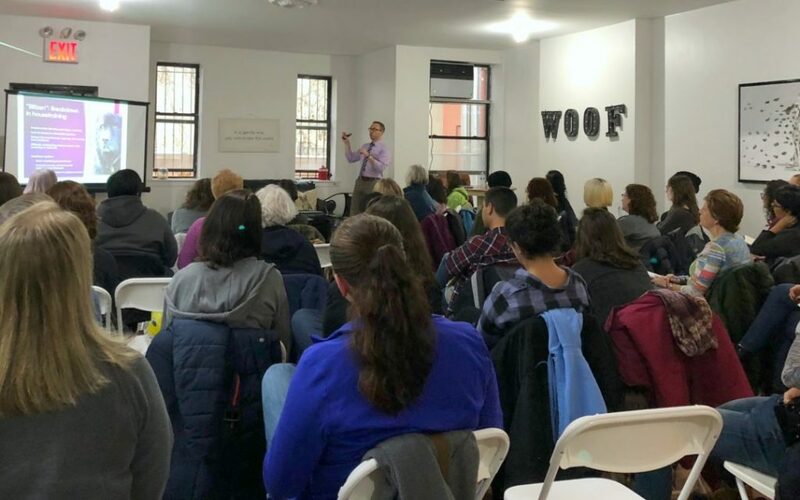 It’s not often we are presented with an opportunity to affect broad-based, lasting positive change within an industry we love,” said Dr. Levine, who is also co-owner of the Instinct Dog Behavior & Training Northern New Jersey (Instinct NNJ) franchise. Veterinary behaviorists play a crucial role in helping dogs with serious, complex behavior issues involving fear, aggression, and anxiety; their specialized medical training enables them to identify and treat potential physical, physiological, or neurological issues that may be causing or contributing to a dog’s abnormal behavior – issues that cannot be addressed through dog training or behavior modification alone. Their services can truly be life-saving for many dogs; however, many dog owners are unaware that such help exists. With the help of Dr. Levine and Dr. Pachel, Instinct wants to change that. The company is currently seeking board certified veterinary behaviorists as potential Instinct Dog Behavior & Training franchise partners, and will also be working with its franchisees to provide veterinary behaviorists an option to sublease clinic space within Instinct franchise locations. “By putting veterinary behaviorists and trainers together under one roof, we can increase the overall quality of our training programs while also helping dog owners understand there is a full range of training and behavior help available to them and their dogs – from puppy classes and obedience lessons with a certified positive reinforcement dog trainer, to behavior modification programs with a certified dog behavior consultant, to potentially life-changing help from a veterinary behaviorist for serious and complex behavior issues,” said Fraser. In addition to helping develop programs focused on collaborative opportunities for the veterinary community, Dr. Levine and Dr. Pachel will sit on Instinct’s Behavior Leadership Panel to help review and enforce the company’s internal standards and policies that focus on ensuring all Instinct franchises and employees adhere to the highest level of professionalism and utilize only positive, science-based training techniques. The new Vice Presidents of Veterinary Behavior will also develop educational resources for Instinct franchises, trainers, and clients, and will provide training and support for veterinarians and veterinary behaviorists getting involved with an Instinct franchise. Dr. Levine, DACVB, graduated from the College of Veterinary Medicine at Mississippi State University in 2000. She completed a one-year internship at a specialty medical and surgical referral hospital in Arizona, followed by a residency in animal behavior at The Cornell University Hospital for Animals. After completing her residency, Dr. Levine moved to England where she ran the behavior clinic at the University of Lincoln, participated in clinical behavior research, and worked as an instructor. 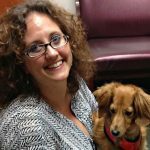 Dr. Levine is currently the Director of Behavioral Services at the Animal Behavior Clinic of AERA and is board certified in the specialty of Animal Behavior. She has authored several papers in peer-reviewed journals and textbooks, as well as co-edited international proceedings on behavior research. Dr. Pachel, DACVB, received his veterinary degree from the University of MN in 2002 and worked as a general practitioner for two years in the Minneapolis-St. Paul area prior to the start of his behavior residency program. He operated a house-call behavior practice in the Minneapolis-St. Paul area until 2010 and became board certified by the American College of Veterinary Behaviorists in 2010. Dr. Pachel is owner of the Animal Behavior Clinic in Portland, OR, where he brings an approach to behavioral therapy which combines learning theory, medical training, and experience along with compassion and effective communication to create a balanced treatment plan that is tailored to the individual patient’s needs. Dr. Pachel lectures regularly throughout the US and Canada, and has taught undergraduate and professional courses in veterinary behavior at the University of MN and at the Virginia Maryland Regional College of Veterinary Medicine. He has published research on feline water consumption preferences, wrote a book chapter on Intercat Aggression for the May 2014 issue of Veterinary Clinics of North America: Small Animal Practice, and is co-author of a book chapter on Pet Selection for Animal Assisted Therapy.